Plant species redistribution can be caused by invasion of species from other countries and by encroachment or range expansion of native species (native invasives). An effective strategy for studying native invasives is to use a number of approaches that include use of fixed-point photographs and sequential aerial photographs. In a global review, we found that Walter’s two-layer hypothesis works reasonably well in dry environments but less well in humid environments. It is also clear that climate change plays an important role. The consequences native invasives expansion for carbon sequestration can be tremendous, with accumulating evidence of sequestration below a precipitation threshold and net loss of carbon above that threshold. 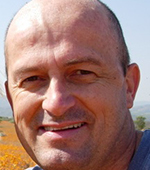 David Ward’s research interests lie in the field of the ecology of plant species redistributions. They include studying both invasive and encroaching plant species. He is also interested in studying the natural process of succession. Most of his research involves trees. He also studies the effects of herbivory by large mammals (such as elephants) on the population biology, community ecology and conservation of plant populations. He is a firm believer in the value of field experiments to allow us to gain a mechanistic understanding of the factors that create large-scale vegetation patterns. This seminar is co-sponsored by the Hugh Hanson Seminar Series and the Global Drylands Center.